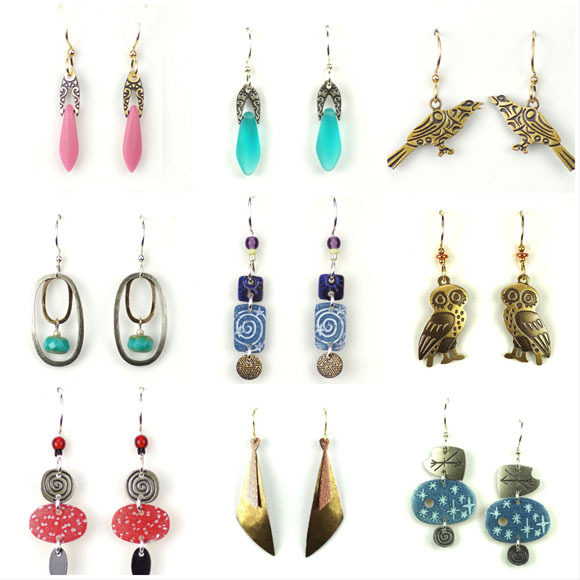 Over 1,000 designs are available for online wholesale orders. All wholesale customers will have to register before they place their first internet order. All of our jewelry is designed by Joseph Brinton and hand made in Portland Oregon. We sell our ever evolving product line to galleries and shops nationwide. Sales directly to the public are made only at a few summer arts festivals. Joe earned a B.F.A in ceramics at Alfred University in upstate New York in 1982. After returning to Oregon, his interest in clay sculpture evolved into a passion for jewelry. After a few years as a designer for another company he successfully set out to sell his own works at arts festivals in the Northwest. Over time the business expanded into wholesale with the help of partner Marie Bliven. © Content copyright 2017 www.josephbrinton.com. All rights reserved.